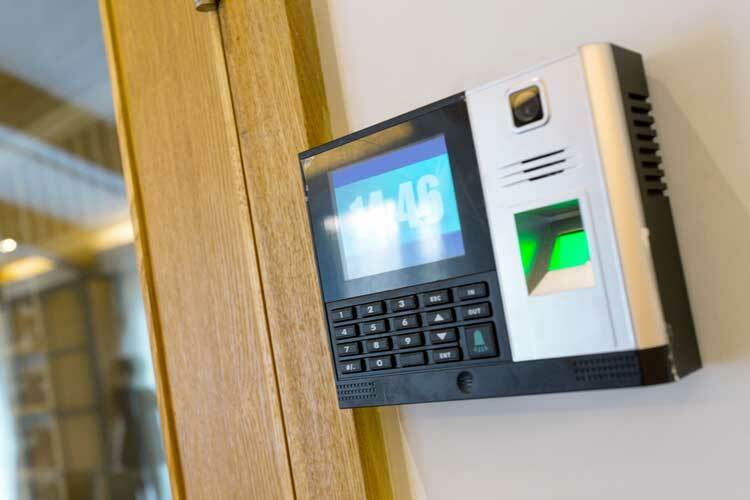 With access control solutions from Knight Security, approved users can scan their official credentials at a digital access device attached to the entryway – and you can rest assured that only authorized occupants are in the building. With today’s heightened security risks, all commercial properties should take measures to remain as secure as possible. Monitoring traffic in and out of the property is one way for administrators to manage security concerns. Currently, the most practical traffic monitoring solution is access control, which involves issuing a digital card or credential to approved building occupants. The credentials can be as simple as a card or key fob to biometric fingerprint readers and much more. Our systems also provide you with an excellent host of report features for audit trails or investigations. 1) Electronic Keys are Difficult to Duplicate. While physical keys can be copied very easily, duplicating electronic keys requires a much higher degree of sophistication. This makes your access system much more secure than it could ever be with physical keys. 2) You NEVER Have to Change the Locks. An electronic user database means that you never have to change locks at your sites. If a key card is ever lost, it can be removed from the database and a new one can be issued. If an employee leaves your company, his or her access rights can be deleted within seconds. This greatly lowers your overall exposure to risk. 3) You Only Have to Remember One Key. With electronic access, your single key or access code grants you access to every door you need to access, so there's no chance of forgetting the key for a particular door. If you get to a site where you need access and you are not recognized by the system, a network operator can add you or your supervisor to the list instantly. From small single door applications to large networked systems, Knight Security has the expertise to install your access solution. We install access security systems for homes, buildings, elevators, parking garage structures and much more. Talk to an expert in commercial access control solutions by calling Knight Security today. We will gladly provide a complimentary security analysis of your property.